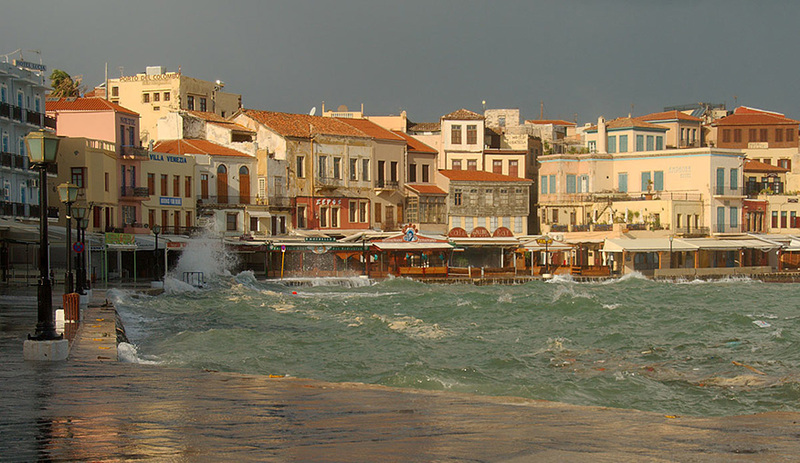 This tour can be combined with a visit to the market of Rethymnon or Chania for shopping. 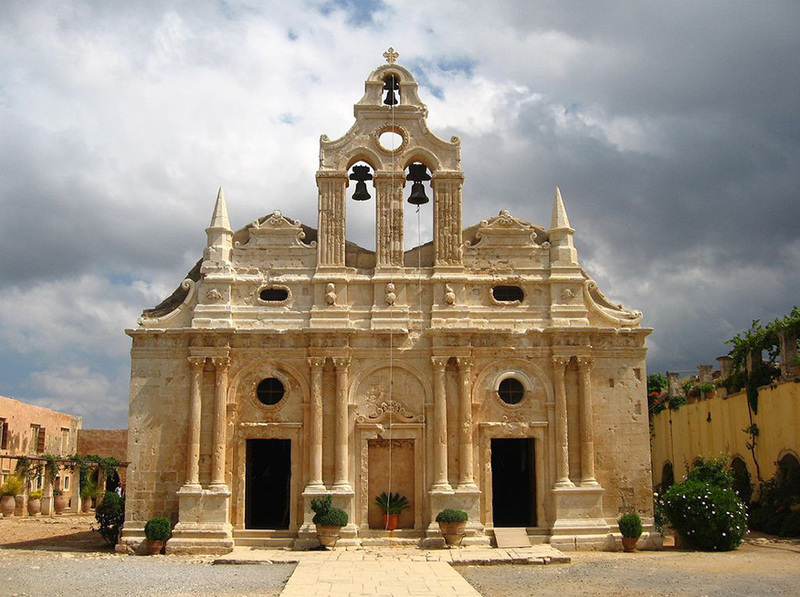 The monastery of Arkadi (in Greek: / Moní Arkadhíou) is an Eastern Orthodox monastery, situated on a fertile plateau 14 mi (23 km) to the southeast of Rethymnon on the island of Crete (in Greece). The current catholicon (church) dates back to the 16th century and is marked by the influence of the Renaissance. This influence is visible in the architecture, which mixes both Roman and baroque elements. As early as the 16th century, the monastery was a place for science and art and had a school and a rich library. Situated on a plateau, and surrounded by a thick and high wall, the monastery is also built like a fortress. The monastery played an active role in the Cretan resistance of Ottoman rule during the Cretan revolt in 1866. 943 Greeks, mostly women and children, sought refuge in the monastery. After three days of battle and under orders from the hegumen (abbot) of the monastery, the Cretans blew up barrels of gunpowder, choosing to sacrifice themselves rather than surrender. The monastery became a national sanctuary in honor of the Cretan resistance. November 8 is a day of commemorative parties in Arkadi and Rethymno. The explosion did not end the Cretan insurrection, but it attracted the attention of the rest of the world. The heart of Chania is still the old town, with its narrow, labyrinthine alleyways and listed buildings dating from different periods, where you can enjoy romantic strolls. Many of these buildings have been turned into small hotels, restaurants, shops or homes. Don’t hesitate to wander round the alleys of the old town, looking for the lovely images that await you. 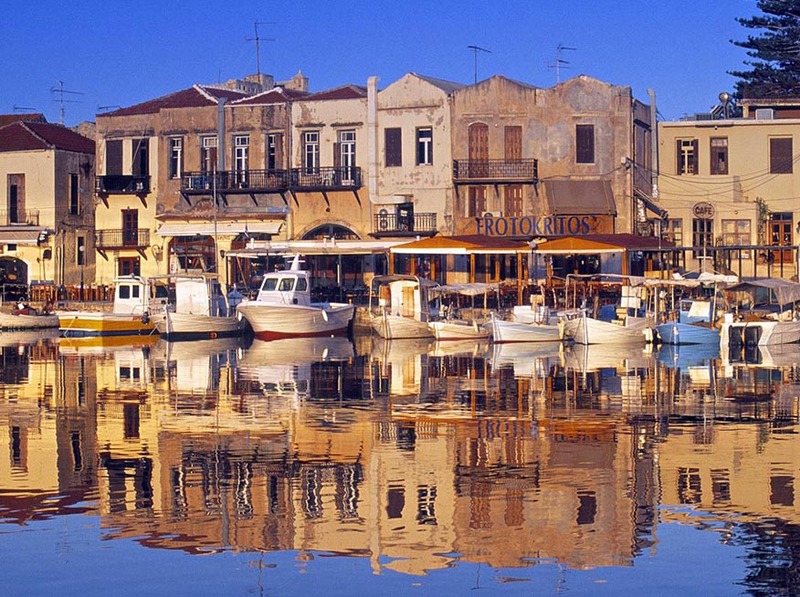 Your camera must be your inseparable companion, as Chania is one of the most-photographed cities in Greece. The old town stretches out parallel to the Venetian harbour, from Firkas Fortress and the Maritime Museum to the “Pyli tis Ammou” (Gate of the Sand, or Koum Kapi in Turkish) to the east of the arsenals. This is the part of town within the Venetian walls and includes Byzantine Chania, once enclosed within less extensive walls. The Byzantine walls protected the fortress of Kastelli, the hill which was first inhabited in the Neolithic period. Kastelli Hill rises above the Turkish mosque in the Venetian harbour. Here stood the acropolis of ancient Kydonia, the Minoan Chania. There, too, was built the first Byzantine fortress, the Kastelli, surrounded by walls with many towers and bastions. The Venetians established their headquarters there in 1252, building the Rector’s Residence (the Rector was the Governor of Chania), while the same site was the seat of the pashas during the Turkish Occupation. During the last years of Turkish rule, the Christian aristocracy lived inside the Kastelli. Unfortunately most of the district was destroyed by bombing during the Second World War, and its medieval aspect was lost forever. Today only the base of the north wall remains. There is also the main road that once ran through the Kastelli, modern-day Kanevaro Street with its imposing mansions.